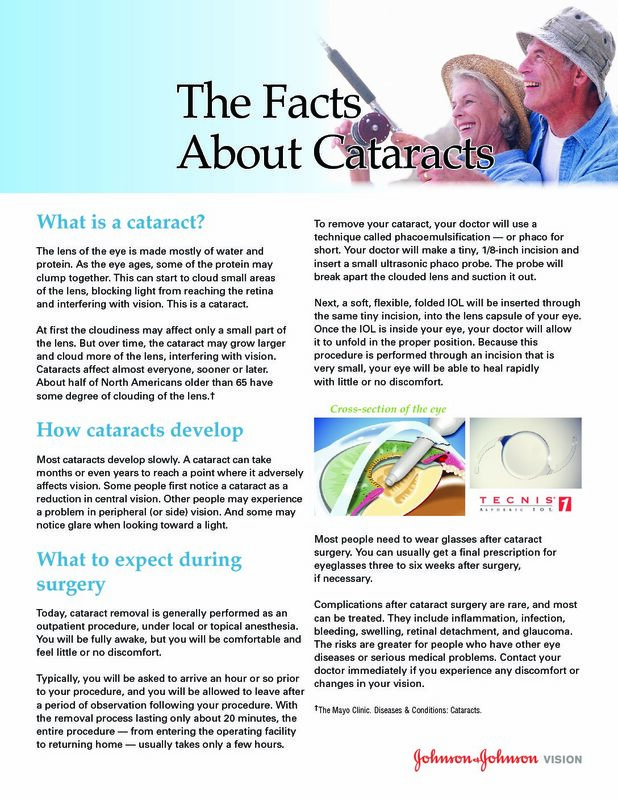 A cataract is a cloudiness or an opacification of the natural, crystalline lens of the eye. While most cataracts occur as a result of aging, other causes of cataracts can be due to in-born errors of eye development, physical trauma or due to the ingestion of certain medications. 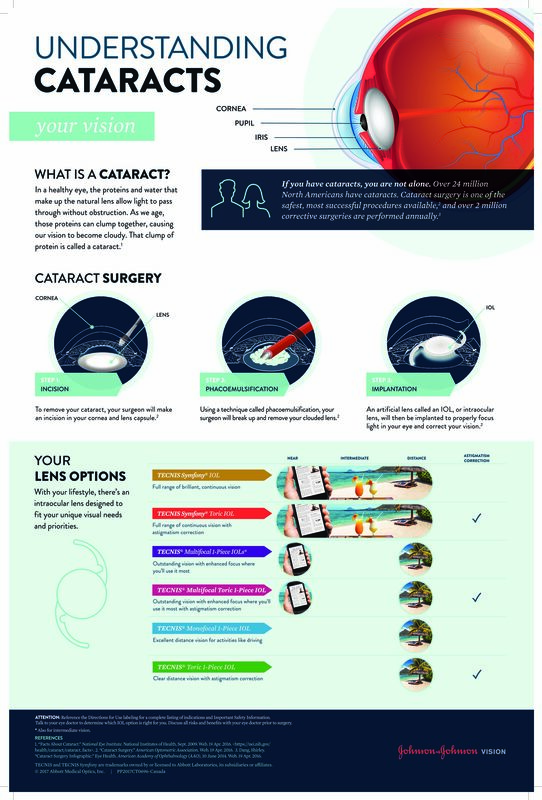 Cataracts impair vision by interfering with the normal transmission and focusing of light through the pupil and onto the surface of the retina. In the early stages of cataract, the effect may be rather small on a person’s overall level of vision. With progression, these changes can become more noticeable and have an increasingly larger negative effect on one’s sight, including a loss of contrast sensitivity and a loss of the ability to differentiate between colours. Some types of cataract may even cause double vision of the affected eye or an intense glare around sources of light. While not all cataracts require treatment, cataract surgery is the only recognized treatment for visually significant cataracts. If you have an early developing cataract, it is generally recommended to prevent or limit ultraviolet (UV) light exposure through the use of a hat and sunglasses when outside, and to eat a balanced diet; if diabetic, consistent, closely controlled blood glucose is advised.